Whatever the reason for buying a new hybrid or electric model, Kelley Blue Book recently put together a list of the “10 Best Green Cars of 2015” to give consumers a sense of which models offered the most in terms of fuel efficiency. 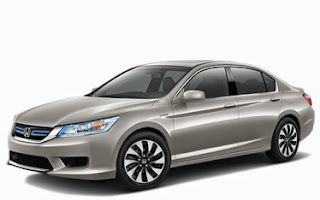 The friendly sales team at Pacific Honda was pleased to see that our lauded 2015 Honda Accord Hybrid was mentioned among the top five on that list, particularly considering that three of the others there were all-electric automobiles. That puts the Honda Accord Hybrid among the elite in terms of efficiency, but it offers so much more beyond just that. The standard Honda Accord is the best-selling model that Honda dealers offer in large part because it’s spacious, comfortable, technologically-advanced, loaded with great safety features and aesthetically pleasing. Add top-notch fuel efficiency to the mix, and you’ve got yourself one of the industry’s finest hybrid automobiles. While there are plenty of reputable hybrid and EVs from which to choose these days, the staff at Pacific Honda wouldn’t point you in any other direction than the 2015 Honda Accord Hybrid.